[Q&A] How to get insurance for my mobile phone? 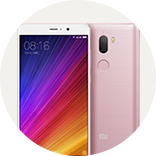 [Q&A] how to enable notification light on redmi6a? [Q&A] hey. I just want to know when are we getting the widevine l1 support on mi8? Mi Phone Rules & Regulations: Please kindly Read Before Posting!